This feature is for rejoicing the merchants who have a vast customer base. 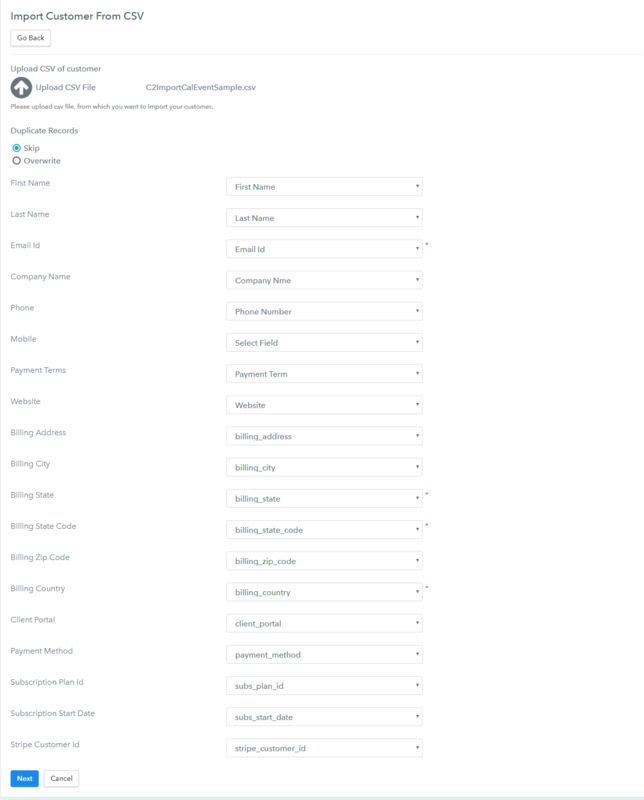 Pabbly Subscriptions gives you the ability to add all your customers in the application from the backend. So you will not need to ask your customer to sign up again. Check the details of the Customer Import and Export feature of Pabbly Subscriptions. There are 2 methods of importing customers in Pabbly Subscriptions account. From Stripe payment gateways account. You can import the details of the customer from your Stripe account. Just integrate your Stripe account with Pabbly Subscriptions by using the API. Then go to the Customer’s section. You will find a drop-down field named “Select Action”. The first option of this section is the “Import form Stripe”. The customers from the Stripe account that you have integrated into the Pabbly Subscriptions application will be imported just by a single click. Select the “Import from Stripe” option and then you will be redirected to a new page where you find the “Import Stripe Customer” button. Just click on this button and all the customers from your Stripe account will be imported automatically in the Pabbly Subscriptions account. There are some points to remember while importing customers from Stripe. The system will import 100 customers in a single attempt and will skip the duplicates automatically. Only the customer details and the Stripe customer Id will be imported. Stripe subscriptions will not be imported. Continue clicking on the Import button until all the customers are imported. You can see the details of the imported customer’s in the “Customer section” and count in the reports section. If you have your customers data in a CSV file then you can just upload the file and select the fields which you want to import. All the details will be added once you hit the Submit button. ⇒ First, click on the upload icon and select the CSV file from your system. Next select if you want to Skip or overwrite the duplicates and click on Next button. Then you can see different fields like First Name, Last Name, Email address and billing info. You need to match these fields from the fields of your CSV file. And finally, click on the “Next” button. You will get the details about how many customers are imported and how many are failed and skipped. Please check of the fields of your CSV file and the fields of Pabbly Subscriptions are matching properly or not. If not then select the particular field from the drop-down section. You have to assign the subscription manually for all the customers you import. Last option in this drop-down section is the Export customer. This feature is a single click process. Just click on the customer Export option and all the customer’s basic data will be exported and automatically downloaded in your system.